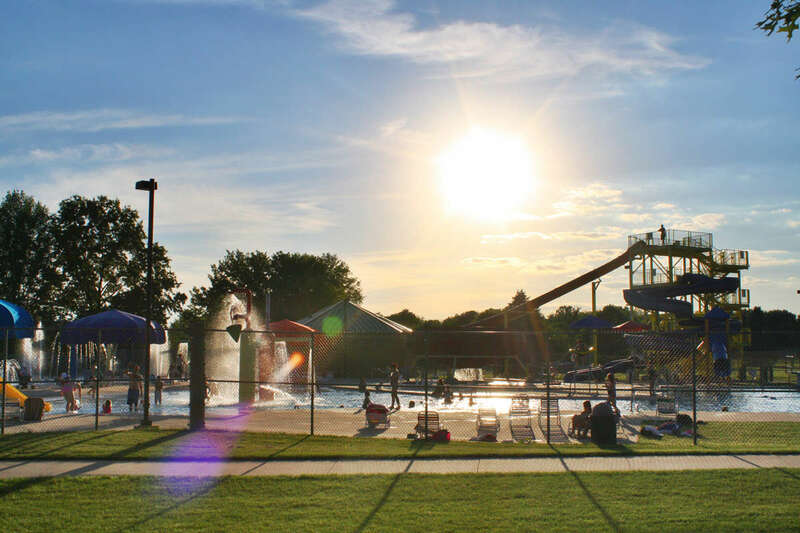 The Coralville Community Aquatic Center features over 11,000 square feet of surface water with a 25-meter, L-shaped outdoor pool that has zero depth entry, diving boards, three slides, and a splash deck full of fountains and play structures for the little ones to enjoy. The water slides feature an open flume body slide and a space bowl body slide which circles swimmers around 2-4 times before dropping into an 8-foot pool of water. An on-deck shaded seating area allows pool patrons to escape from the sun. And The Patio, a full-service concession stand, offers something to meet everyone’s tastes. Plan to celebrate your next special event on the Party Deck at the Coralville Community Aquatic Center. Find out more about party rentals.